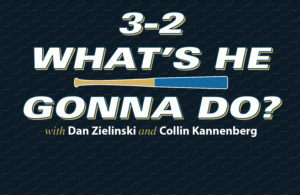 Every year the Major League Baseball Draft has fascinating storylines. This year, one of the more interesting situations will be where right-handed pitcher Phil Bickford goes in the draft. Coming out of high school in 2013, Bickford was considered a tough sign in the days leading up to the draft. However, this didn’t stop the Toronto Blue Jays from selecting the young righty with the 10th overall pick. This decision ended up back firing on the Blue Jays as they failed to sign Bickford to a deal. Bickford reportedly had a $4.25 million price tag prior to the draft, which was significantly higher than the assigned value of $2,921,400 for the No. 10 pick. 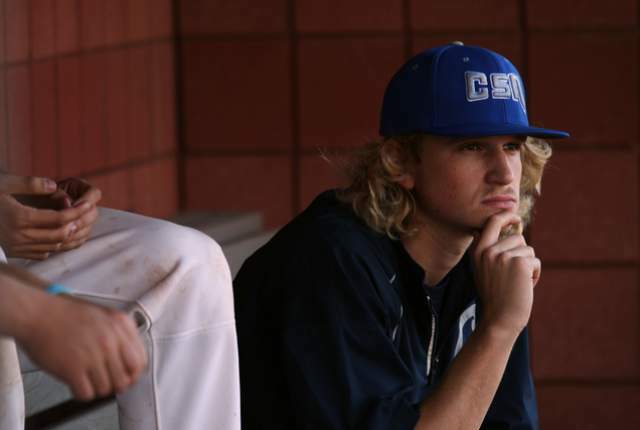 Bickford decided to play at Cal State Fullerton and pass on the opportunity to play professional baseball for reasons that still remain unexplained to this day. When asked about why he felt playing college baseball was a better decision for him at that time, Drew Farrar, the sports information director at the College of Southern Nevada (Bickford’s current school), quickly jumped in and interrupted the interview. He stated Bickford didn’t want to discuss the draft, despite all the questions being approved prior to the interview. He was only interested in talking about his college career so far and what he is working on in order to prepare for the rest of the season. In Bickford first college season at Cal State Fullerton last spring, he posted solid numbers going 6-3 with a 2.13 earned run average and 74 strikeouts in 76 innings. 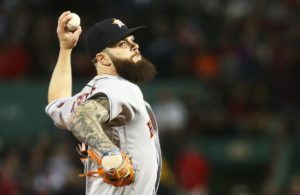 However, his fastball velocity was only in the 88-92 mph range after sitting in the mid-90s on a regular basis his senior year of high school. This past summer in the prestigious Cape Cod League his velocity returned when he pitched in relief, hitting 93-98 mph, while allowing runs in only two of his 17 appearances. He also registered 44 strikeouts in just 27 2/3 innings of work. After being named the top prospect in the Cape Cod League and turning heads with his outstanding stuff, Bickford made the decision to transfer from Cal State Fullerton just three days prior to the start of the school year. He ended up transferring to the College of Southern Nevada in order to make himself draft eligible for the 2015 MLB Draft. Had he stayed with the Titans, he would have had to wait another year to turn pro. 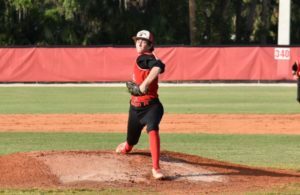 Through his first 11 starts with CSN, Bickford has been outstanding posting a 6-1 record with a solid 1.77 ERA, 105 strikeouts and just 15 walks in 56 innings. Bickford has done a tremendous job with his command and establishing the strike zone, and said that his ability to trust his off-speed pitches has also been a major reason for the success. 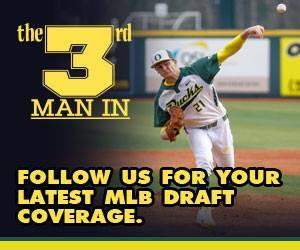 If he is able to continue this success on the mound, there is a good chance he could once again be a first round pick, as MLB.com currently ranks Bickford as the 16th best prospect in June’s MLB Draft class. He throws an exceptional fastball, and his slider has continued to improve, developing into an above average offering. However, the one pitch Bickford needs to continue to develop is his changeup. Through his first eight starts Bickford said he had only thrown his changeup once, mainly due to his four-seam fastball, two-seam fastball and slider all being very effective pitches. While not throwing and being comfortable with his changeup shouldn’t have an effect on his draft stock, it is safe to say whichever professional team drafts him will make sure he is able to throw at least an average changeup to keep hitters off balanced. Regardless of the draft and what the future has in store for Bickford, right now he just hoping he can continue to develop and improve throughout the remainder of the season.